Also, the Western release has been confirmed! 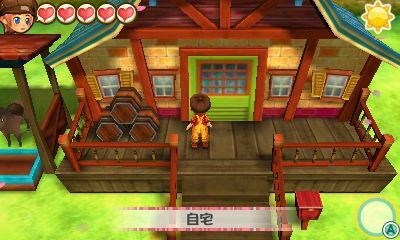 The next Story of Seasons game, Story of Seasons: Good Friends of Three Villages, is looking even more detailed than its predecessor. This close to its release in Japan on June 23, there's another wave of screenshots and info to glean while waiting for it to drop. 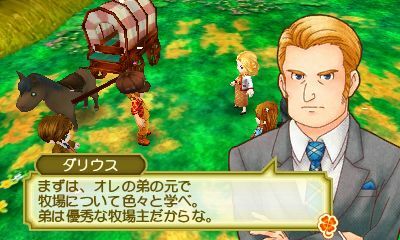 Marvelous' upcoming release has also been confirmed for the west as Story of Seasons: Trio of Towns, which won't be hitting until 2017, but at the very least it's been announced! The protagonist's parents will both be a major part of the game with the father named Darius, who's a foreign trade businessman. He doesn't particularly want you to become a farmer, but Marina, the mother does. She's from a well-to-do family and can be a little naive, but she supports you in your endeavors to become a farmer. Rinne is the proagonist's younger sister who can be a little selfish, but she can get upset when separated from her sibling. Life on the farm itself will be a bit different this time around as well. You can now add extensions and upgrades to your home, including new closets, kitchens and baths. You can customize your home's interior and exterior appearance, so you can truly make it your own. If you invest in the correct pieces and prosper, in the end your house will have grown to the size of a proper manor, and that's something to get excited about. Hopefully we'll get our hands on the English version soon, but at least we've got the Japanese release to drool over at the end of the month, and if you're headed to E3 next week, you'll get an eyeful of the sequel there as well, lucky you!